PHOENIX, June 14, 2017 /PRNewswire/ -- Three Phoenix entrepreneurs and their company, Phat Scooters, are launching their sit-or-stand electric scooter on Thursday, June 15, 2017. 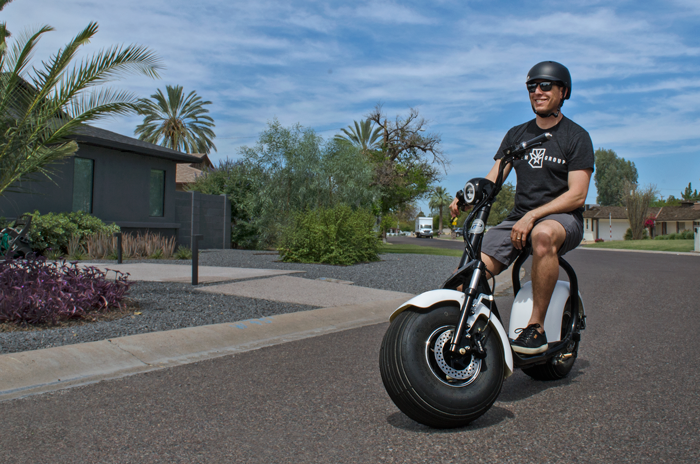 The Phat Scooter has a top speed of up to 20 mph and can go 30-50 miles on a single charge. The Phat Scooter can ride in the bike lane, on the golf course, and even on the boardwalk. Preorders begin on Thursday for the Phat Scooter and they ship at the beginning of July. Customers can use coupon code PREORDER500 for $500 off and free shipping. The coupon is good through June 30.